What’s on this week and beyond…. 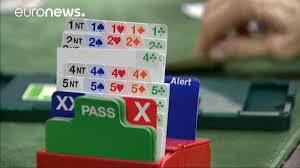 If Bridge if too much why not come and play Whist or Cannasta instead ? We have plenty of cards just come along. Please note there are private parties on Friday & Saturday nights (12th & 13th April) so the pub will be shut from 6pm. Numbers are restricted so please reserve your ticket via Eventbrite here. Have you tried our new lunch menus yet? We have a new Chef called Amanda who has designed the following menus, come in and try them, Tuesday – Saturday 12pm – 2.30pm.